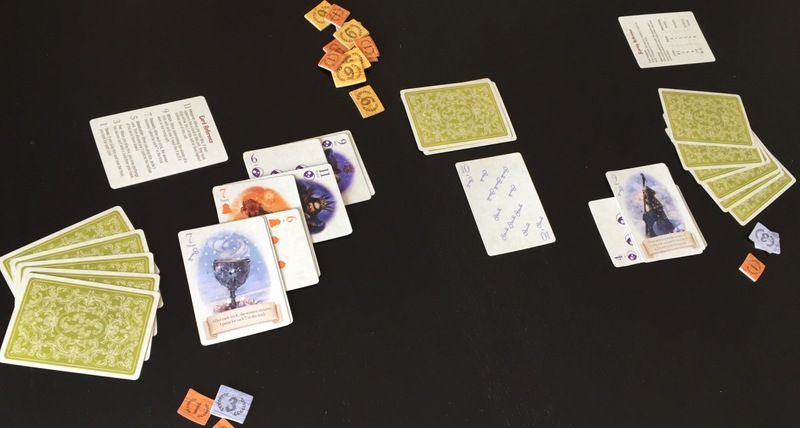 Quinns: The Fox in the Forest is the best small-box card game I’ve played in two years. That’s a pretty momentous statement, right? Well, now we’re going to lose all of that momentum as I plunge this review-car up to its axles in mud, because Fox in the Forest is a trick-taking game. 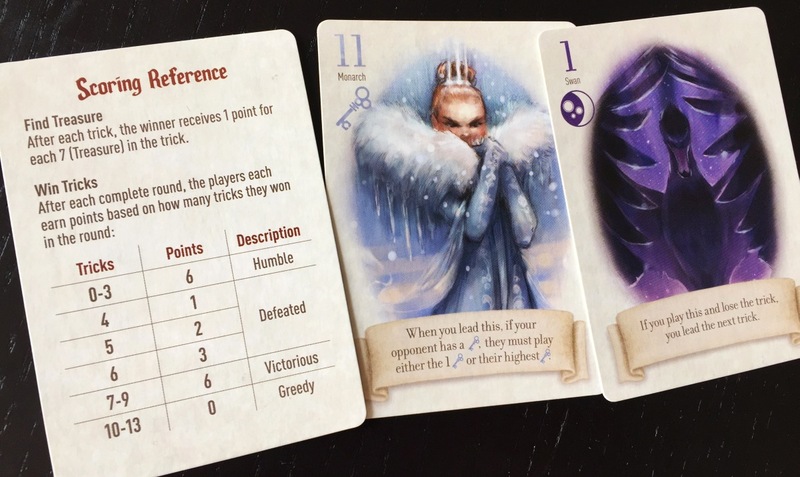 In a trick-taking game each player holds a hand of cards. To play, one player first “leads” the trick by playing a card from their hand. The other player must then play a card of the same suit from their own hand. So in the 2 player game Fox in the Forest, if I played a 6 of Moons, you’d have to play a Moon too, if you have one. The person who played the higher Moon “takes the trick”, meaning they take the cards you both played and put them in a little pile. In Fox in the Forest this is a good thing, because at the end of the round you get points depending on how many tricks you won. Winning a trick also lets you lead the next trick, forcing your opponent to play something else. Think of it like fishing. You examine the scene in front of you, throw out some bait, and try to catch your opponent. And here’s a tip! By laddering the tricks you’ve won (pictured above) you’ll look like a stony pro even if you have no idea what you’re doing. Since you’re both dealt 13 cards at the start of a round and you don’t draw new ones, this results in a narrowing possibility space as you play cards back and forth until the 13th “trick” is you both just dropping your 13th card on the table and seeing who takes it. 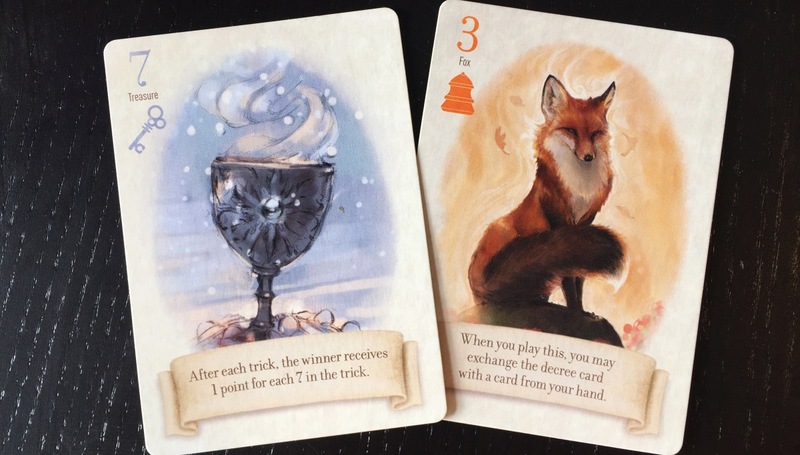 Since Fox in the Forest only has 33 cards in total, you’re partly playing a simple gambling game where you’re guesstimating what cards your opponent is holding. Where things get crafty is if you can’t follow a trick, like if I led the trick with the 6 of Moons but you aren’t holding any Moons. You can then play any card you want, with varying results. In Fox in the Forest, one final card is dealt face-up in the centre of the table at the start of the round. In the above picture it’s the 10 of Keys. This is the trump suit, and it always wins. So in the above pic, if I lead a trick with the 6 of Moons and you couldn’t follow it and played a 1 of Keys, you’d win the trick. But maybe you don’t want to! Because now, finally, I can do my magician-like reveal of the rule that powers Fox in the Forest and makes this back-and-forth so exciting. 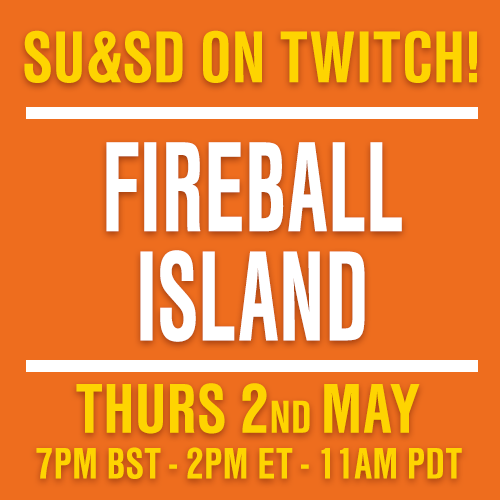 Remember I said that you get more points if you win more tricks? 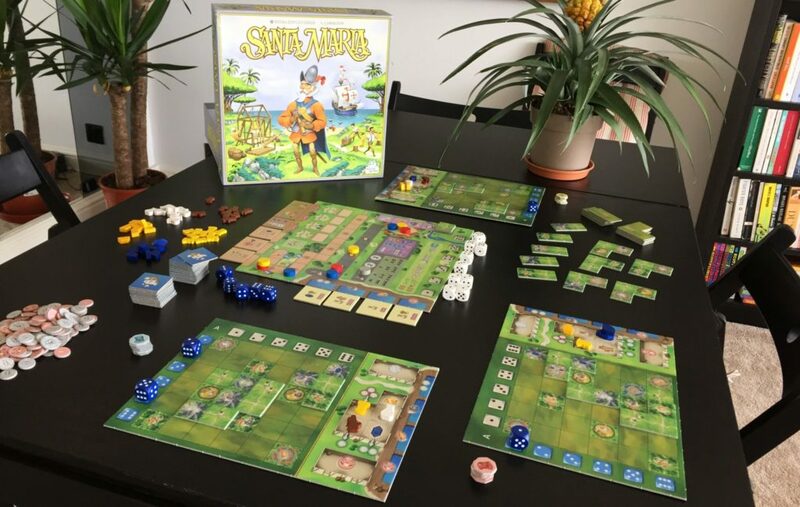 That’s true… unless you win 10 or more of the 13 tricks, at which point you become “Greedy” in this fairytale, you get 0 points, and your humble loser of an opponent gets the maximum of 6 points. 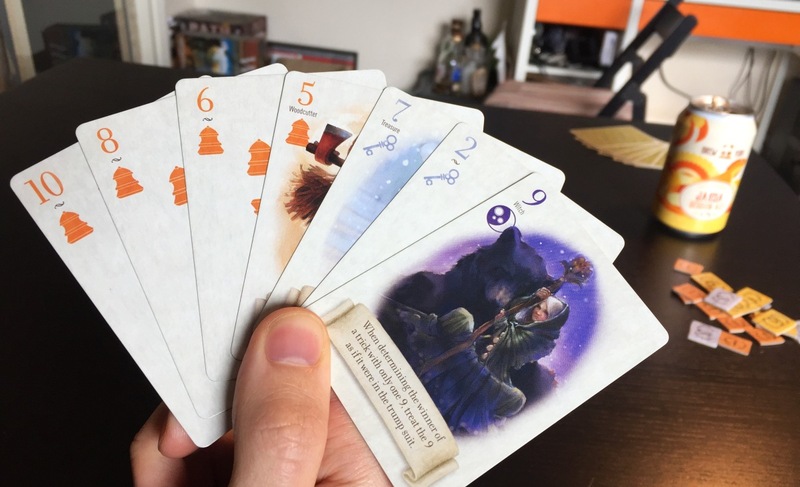 So each round of Fox in the Forest starts with an awesome question: Look at your hand. Are you going to play to lose? Suddenly, even the act of following a trick that you know you can’t win becomes interesting, because you could ditch a low or high card, depending on whether you’re going to put up a fight or collapse like a wet paper bag. And what makes this even more fun is that the game’s probabilities are so tricky and the penalties for missing your goal are so severe that players will switch their goal all the time. You might both start off trying to lose, then both switch to trying to win, only for one of you to bail and go back to losing. And never mind your own plan, you’re also trying to figure out what your opponent is doing since that dictates how you should be playing. Every decision in Fox in the Forest is as sweet and chewy as so much fudge. 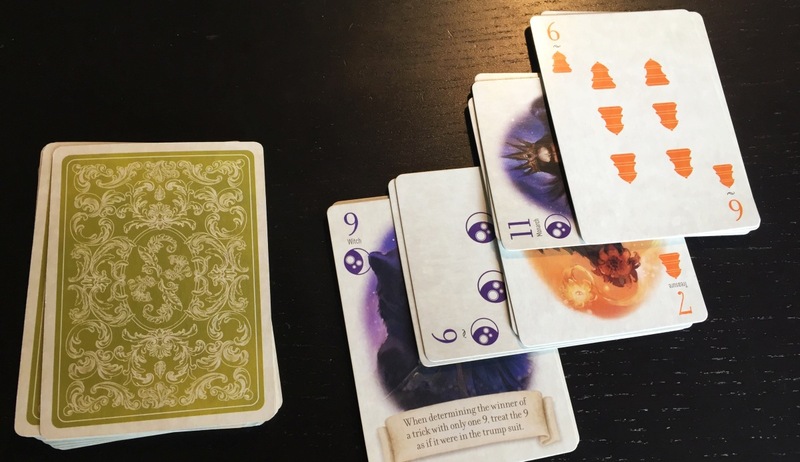 Everything is in your control, but nothing is truly knowable, and this kittenish struggle perfectly fits the intrinsic coyness of holding and playing cards. As an object, Fox in the Forest is a perfectly pleasant game to go through the motions of. Spiritually, it’s a disrespectful slap fight where rounds will often end in a player utterly embarrassing themselves, but where they have to laugh, because it was always their fault. Players have this sense of control over their destiny because 6 of the 11 numbered cards ever-so-slightly tweak the game state. Vitally, none of these powers are particularly aggressive; there’s nothing that’s going to spoil the laid-back atmosphere. Instead, the powers let you play. The number 7 cards are my favourite, the “Treasure”. Winning a trick with a 7 in it just straight-up gives you a permanent point, but 7 is such a deliciously low number that it’s hard to lead a trick with a 7 and win. So you might want to hold them back until the end of a match when players have used all of their high numbers, but the longer you hold them, the more likely it is that it’ll be forced out of your hand by an opponent leading the trick. Or what about the Fox, little number 3? They let you swap the Trump suit card with a card from your hand, a powerful ability, one with more depth than I first imagined. In “swapping” the cards you need to consider the card you’re picking up. And while having a lot of, say, Bells, and changing the Trump suit to a Bell is a nice play, in putting a Bell down there you now have one less Bell to play with. Are you sure your opponent doesn’t have more? But I don’t want to make this sound overly complicated. Figuring out the good plays in Fox in the Forest isn’t so hard. What’s hard is figuring out precisely when to play each card in this 13 step dance you’re doing together. When do you throw out the treasure? When do you change the trump? Perhaps too often Shut Up & Sit Down praises games that play like soldiers in the service of simulation or innovation. 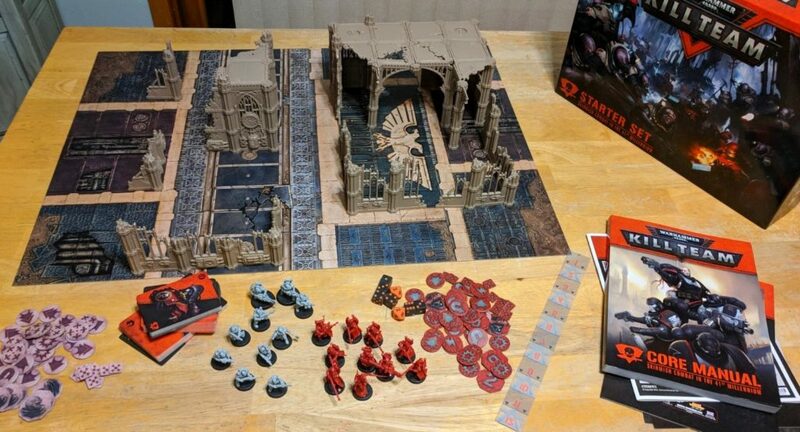 Games that come stomping into our review stack and make everything else look like toys. THIS is the next big thing! Pay attention to ME! Fox in the Forest is something so much more subtle. It’s not trying to be big, or clever. It’s trying to be nice. And while that’s common, the level of success here is not. Mind if we take a little diversion? There was a micro-backlash two years ago when I reviewed Archaeology: The New Expedition (pictured above). A few people bought it only to discover, to their horror, that whether they won or finished last was down to luck. Like the titular excavator, these people dug their hands in the sand and came up with nothing of value. There was no control. No game. Or rather, the game in Archaeology is often little more than gambling. But that was precisely the point! Take a stroll through Pagat.com’s list of the most popular card games sometime. You might be shocked at how many of them are inane exercises in random chance. But if you actually work your way through that list, there’s no denying the quiet alchemy in each of them. There’s an ineffable yet gentle tension. They leave room for conversation. Mistakes and victories might be down to random chance, but they feel human. 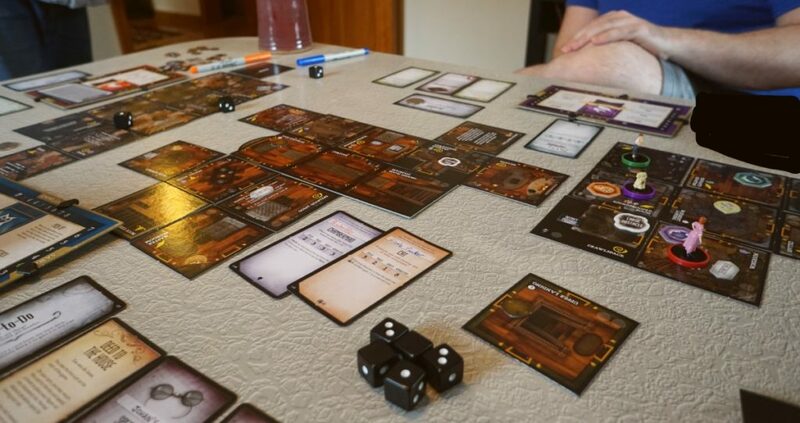 For want of a better word, I’m going to summarise all of these little pleasures as “card gameiness”, and I’m going to point out that some games are rich in this comfortable magic, and others aren’t. In other words, some games are just nice to sit down with and see what happens. Do you get me? Fox in the Forest is anything but inane. It’s a witty, taut little contest that you can pour thought into, if you so choose. 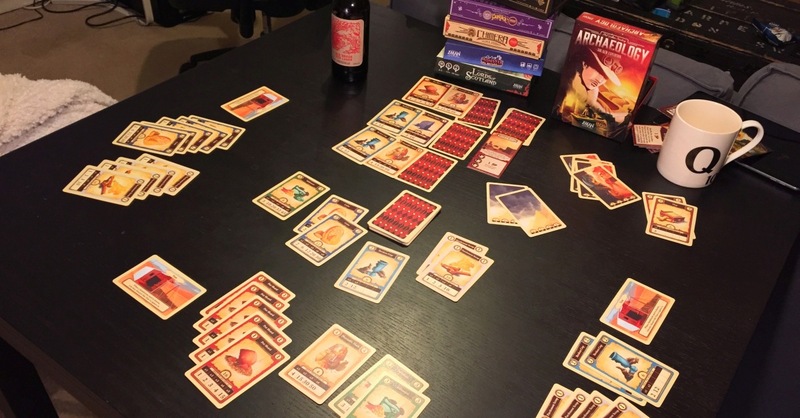 But it also has the supreme ease and cosiness that unites so many classic card games, a trait I only now recognise in the supreme Mundus Novus, which we reviewed in 2012 and I still play to this day. This has been a rambling, challenging review for me. 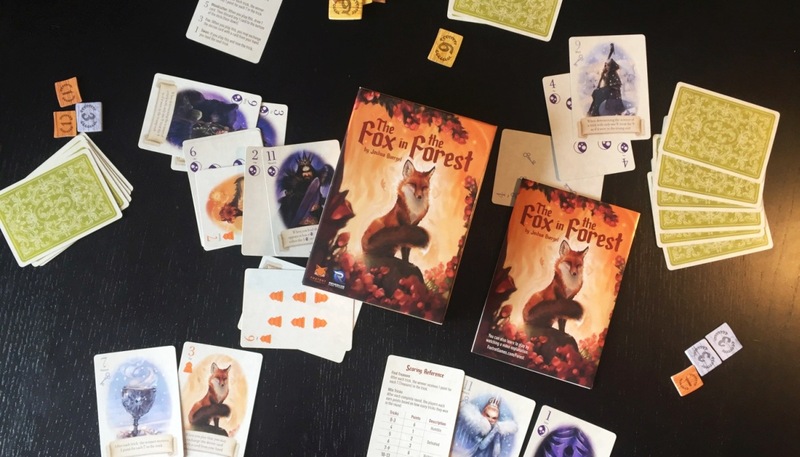 Fox in the Forest is an inscrutable game to try and pick apart. The question as to whether you should buy it, though, doesn’t have to be so complicated. 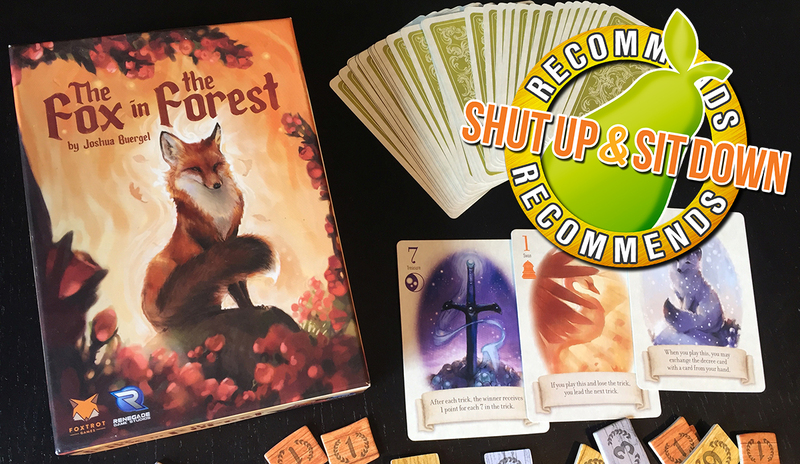 You should buy The Fox in the Forest if you love the quiet moments in table gaming as much as the loud ones. You should buy it if you think you know why, for 500 years, humans have been inseparable from playing cards. And maybe you should buy it if you just like pretty foxes and handsome woodcutters. As I said, it’s a gentle game. You can put as much thought into it as you wish.